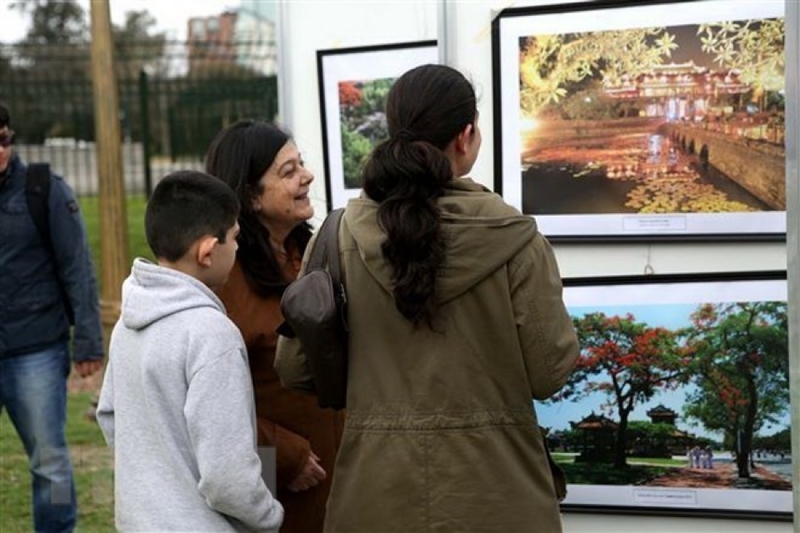 The Embassy of Vietnam in Argentina held the “Vietnam Day” event in Seeber Park in the capital city of Buenos Aires on September 8 as part of activities to mark the 45th founding anniversary of diplomatic ties between the two countries. The event saw the participation of representatives from Argentine Foreign Ministry, Buenos Aires authorities, diplomatic corps and locals. In his speech at the event, Ambassador Dang Xuan Dung highly valued the support and coordination of the Buenos Aires city and Argentina’s competent agencies in organising the “Vietnam Day” in the European country for the first time. He underlined the significance of the event, saying that it helped Argentine people get insights into Vietnam’s culture and people. The diplomat said Vietnam wants to further promote the traditional relationship with Argentina and mutual understanding among the two countries’ people. At the event, a delegation of Vietnamese businesses introduced various high-quality commodities of Vietnam such as products made from bamboo and rattan, wooden furniture, electrical equipment, and dried food; tourism products; and consumer goods. Other activities included a photo exhibition on Vietnamese people and landscapes, a Vietnamese traditional food fair, and an art performance.